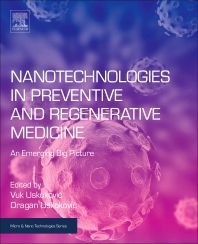 This applications-orientated book is a valuable resource for researchers in biomedical science who want to gain a greater understanding on how nanotechnology can help create more effective vaccines and treatments, and to nanomaterials researchers seeking to gain a greater understanding of how these materials are applied in medicine. Vuk Uskokovic is Assistant Professor in the Department of Bioengineering at the University of Illinois, USA, where he leads the Advanced Materials and Nanobiotechnology Laboratory. His research focuses on devising advanced nanomaterials for application in tissue regeneration and other areas of preventive and restorative medicine. He authored more than 70 research papers and book chapters and given many conference presentations and invited lectures all over the world.